1. Optimize your site and emails for mobile donations, and use responsive design. Make it easy for donors to give when and wherever they are online. With the use of smart phones, tablets and iPads increasing all the time, you don’t want to miss out on any donations because it’s difficult or impossible to give from a mobile device. Donors were 34% more likely to make a gift after reaching a donation form when the website was responsive. Read details at npENGAGE. Take a look at your own Google Analytics stats for mobile transactions and see what you find. You may be surprised! If you’re not sure how to start making this change, check out these Tips for a Mobile-Friendly Site. 2. Tell donors what their gift can do – communicate impact. Donors want to know how you’ll use their money and what difference their gift makes. Several surveys, including Cygnus Research 2014 Burk Donor Survey and Money for Good II found that up to 70 percent of donors are looking for this information. On website pages where you describe programs and services, include results. Pull compelling photos, stats and stories from your annual report or newsletters and weave them into content or graphics. Showcase results in an infographic. Talking about your accomplishments in multiple places on the site helps convince visitors your organization puts money to good use: it builds your case for support . . . before they reach your Donation Page. On your Donation Page, list several programs and levels of giving, and be specific about what each donation can do. These impact statements can persuade donors to give more, knowing what a donation accomplishes. JustGive’s Donation Page for nonprofits was built to include this option, and you can quickly customize and even change it several times a year. 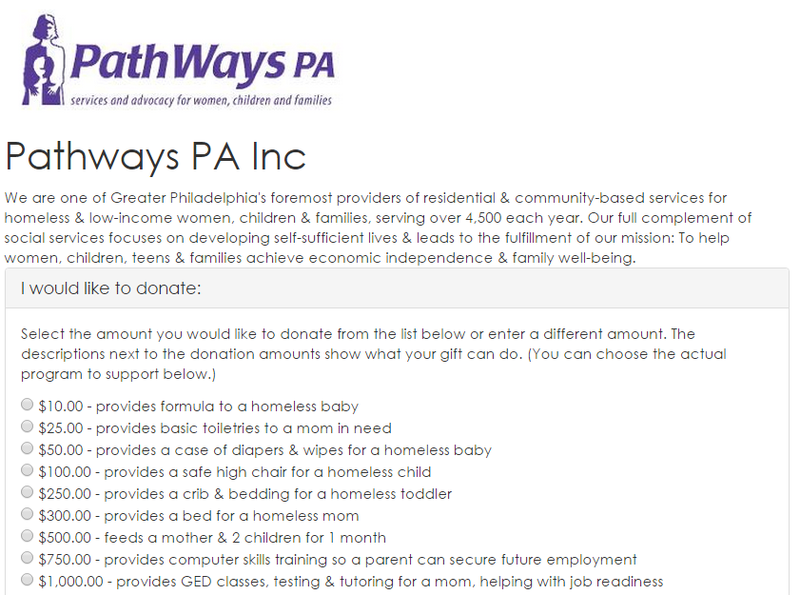 Then don’t forget to carry this practice through on partner sites where your organization appears, like GreatNonprofits. Are you giving donors the option to automatically donate every month? If you’re not set up for this, it doesn’t take much to do. JustGive offers free Give Monthly buttons you can easily add to your site to generate a steady stream of support. Use your Donation Reports and donor data for a second follow up. You can do this effectively with an email that talks about a recent/newsworthy accomplishment of your organization and, at the same time, reminds them again about the impact of their gift. For donors who give large gifts, consider a handwritten note or call to personally connect – without making another appeal. Just acknowledge what they’ve done and say thanks again. This creates a positive vibe and can take them by surprise when you don’t ask for more money right away, making them more likely to donate again. P.S. Subscribe to our blog and we’ll send you an email every time we publish more helpful tips and tools.